Daniel McKenzie has emerged as one of the best runners on the track this pre-season. We’re really pleased to secure the futures of two young defenders in Dan and Brandon for a further two seasons. St Kilda has re-signed young defenders Daniel McKenzie and Brandon White for a further two seasons, tying the pair to the club until at least the end of 2019. McKenzie, who was taken at pick No. 22 in the 2014 National Draft, has played 16 games in his first two seasons at Linen House Centre, including seven of the final eight games last year where he found a home at half-back. After finding his feet at Sandringham in his debut season, polished left-footer White forced the selectors hands late last season, earning a spot against Brisbane in the final round where he showed glimpses of his potential. St Kilda Chief Operating Officer and General Counsel, Ameet Bains, said the club was delighted to secure the pair on the eve of the season and looked forward to watching them develop in 2017. “We’re really pleased to secure the futures of two young defenders in Dan and Brandon for a further two seasons,” Bains told saints.com.au on Monday night. “Both Dan and Brandon showed some really positive signs in the second half of last season, with both featuring in the AFL side. 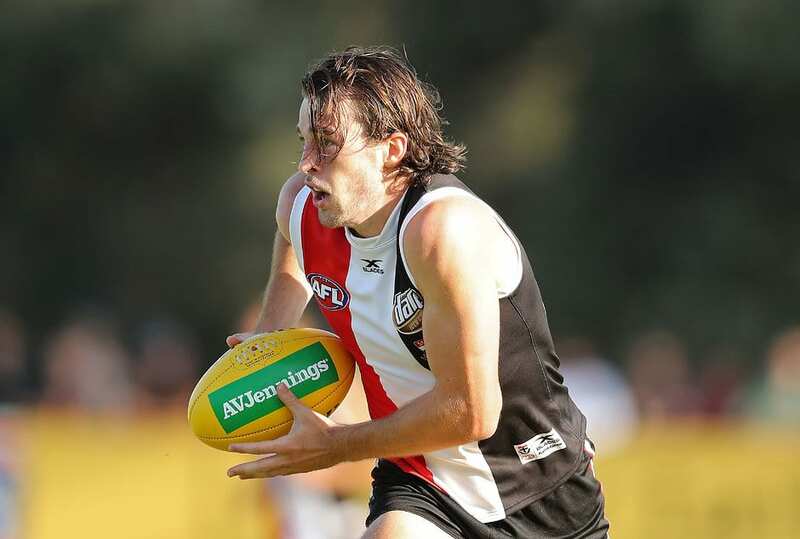 “Dan was able to find a spot in the back half of the year, while Brandon earned a senior opportunity in the final game after strong form at VFL level. Are you with us in 2017? Become a St Kilda member today!